Domestic Violence Awareness Month - RELIEF AFTER VIOLENT ENCOUNTER - IONIA/MONTCALM, INC.
Help RAVE Support Domestic Violence Victims and Survivors by spreading awareness, sharing social media content, volunteering, donating and attending an event such as our FREE Harvesting Healthy Families. 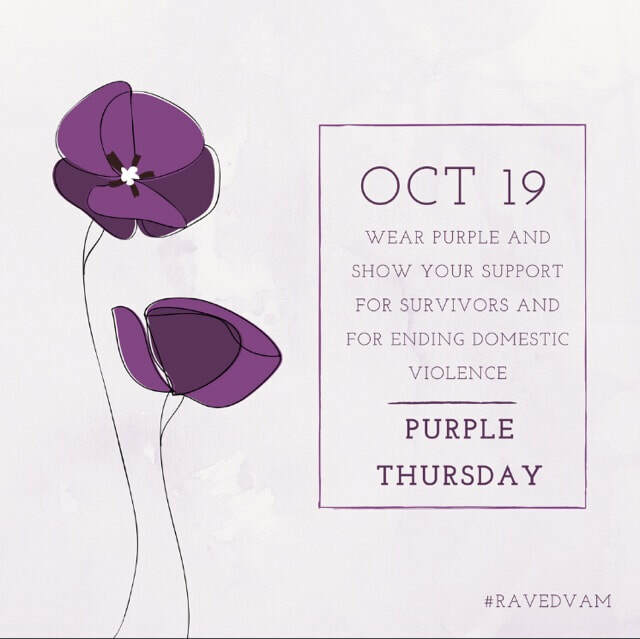 Show your support by wearing a purple ribbon throughout October, wearing purple on #PurpleThursday and sharing on social media what DVAM means to you. Make sure to tag @RAVE.IM and #RAVEDVAM to have your post shared! October is Domestic Violence Awareness Month (DVAM). Join RAVE throughout October to spread community awareness about Domestic and Sexual Violence. Show your support to survivors of Domestic and Sexual Violence by sharing social media posts, news articles, and participating in our awareness events and volunteer opportunities. 1. Wear Purple on October 9th to show your support for survivors. 2. Send your photos to claireh@raveim.org or tag @RAVE.IM and we will share your photos supporting survivors on our social media pages! 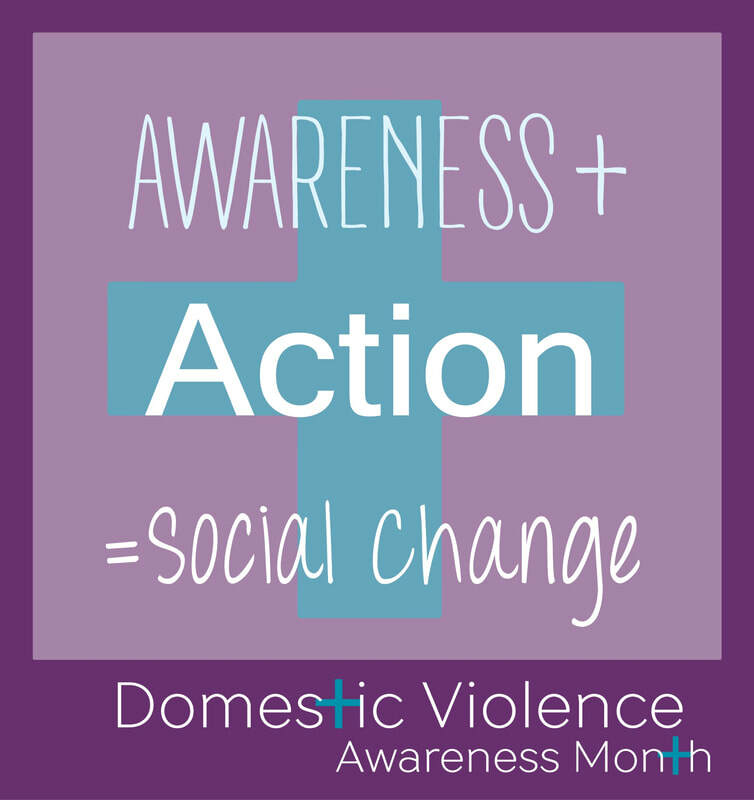 Share what Domestic Violence Awareness Month means to you! 5. Check our Facebook and Instagram for weekly updates on ways to show your support. Join the Twitter Chat on Tuesday for NNEDV's #Safety4Survivors conversation. Each day we challenge you to take a stand for survivors! Tag @RAVE.IM to show your support. 2. Attend our FREE Harvesting Healthy Families Event on October 14th to celebrate healthy families and DVAM! 4. Purchase a Purple Self-Defense T-Shirt with proceeds going to domestic violence survivors. 5. Sign Up your school/business to participate in our Chalk The Walk Event. Paint Nails, Go for a walk, do a craft, bake etc.